Real Estate Doesn’t Have to Be Hard. We Make it EZ. Save the planet by going paperless and never forget about a prospect or listing again, whether you simply want to remember a prospect's pet name and anniversary or be aware of all the listings you or your team are managing. 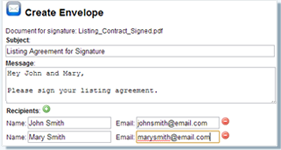 Begin with creating a lead profile to store all important contact information and lead status. Once the lead has been entered into the system, the EZ CRM program helps you manage, track progress, report on property showings, and monitor any offers received. *Send out email marketing using our Mailchimp Integration. Once you’ve converted the lead into a paying client, easily move information to EZ Coordinator and begin a new transaction with one click. 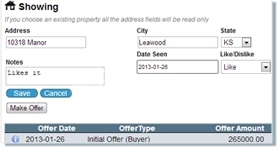 Track your showings’ history and any prospective client offers made on each individual property. Keep your buyer in the loop with pending, countered, and accepted offer updates. The notes section allows you to record and document your clients personal comments and opinions about the property, so you always know exactly what they want. 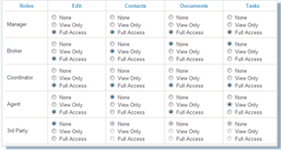 Customize your dashboard so only the relevant information is easily viewable. Info for buyers, sellers, agents, commissions, contracts and contingency dates, and whatever else you need to close the deal... It's all there for your review in a single secure place. If you can send an email, you can use EZ Coordinator. With unlimited document storage, store and organize your documents and folders in the cloud, giving you access to them anytime, anywhere, from any device. Use our simple drag-and-drop and split-and-merge functions to place your documents and files directly into the system. You and the parties of the transaction have 24/7 access. If somebody outside your party needs access, simply share your docs by email for real-time updates. Close your listings faster through improved collaboration, communication, and task management with internal team members and your clients through task lists, alerts, reminders, calendar syncing, etc. EZ Coordinator’s open platform lets you create unlimited custom task lists to help you manage your to-dos with specific due dates, assign priorities, and schedule automatic email alerts & notes to relay information to all parties about the status of your tasks. *With advanced task functionality and preset due dates for your task lists, EZ Coordinator can automatically set time-sensitive due dates for new transactions which saves time & increases closing speed. Enter notes about your transaction, and then email them to the various parties to keep everyone informed. The notes section will also keep an up-to-date log of your actions, so you'll always be able to track changes that have been made. You can also forward emails into your transaction and they will be logged in the notes section. The EZ Coordinator calendar is designed to be simple, easy, and efficient. If you created a date in one month, but desire to move it to another, simply drag and drop to the information to the correct date and it will update across the system. Easily review your documents for compliance, and once they are complete, mark them approved or send a note back to your agents for revisions. Our document review and audit compliance features will keep you in good standing, while mitigating your risk of errors and omissions. Every client should be able to make their process the process, which is why EZ Coordinator allows fully customizable fields, permissions, task lists, etc. because your business is unique. Our sandbox design provides the opportunity to leverage fully customizable fields so that you can create as many custom fields as you desire. You know your business best, and that’s why we give you the freedom to manage your clients and transactions the way that’s best for you, while providing a secure way of doing so. Best of all, there’s no additional cost and our team is available to assist with customization. You’ll never lose track of which parties are, or aren’t, involved in a transaction while also knowing the exact funds expected to receive as part of a given transaction. The commission breakdown gives you the ability to set flat rate and/or percentage of sale commission options, while also having the flexibility of including multiple parties on both the buyer and seller sides of a given transaction. EZ Coordinator has partnered with DocuSign to provide the convenience of e-signatures. 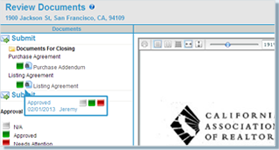 You can send documents for signatures directly from your document folder. Once signed, you can retrieve them from DocuSign and deposit the documents directly back into your EZ Coordinator folder. EZ Coordinator and DocuSign make your closing process easy, so the only thing you have to worry about is your next deal. EZ Coordinator’s permission settings allow you to control who sees or interacts with each part of a transaction. This ensures both privacy and security of information based on the internal and external stakeholder needs. Settings can be changed at the administrators discretion to align with evolving needs and roles and responsibilities of agents, brokers, transaction coordinators, and other relevant stakeholders. Create general reports with the ability to sort, filter, etc. in order to get to the information most important, both transaction-based as well as task-focused. 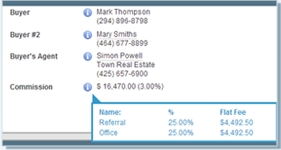 *Custom reports provide additional automated filtering by agent, transaction type, status type, and much more. The EZ report builder is an easy way to stay up to speed on all the important metrics so you always know exactly where your business stands at the click of a button. The days of double entry of data are over. EZ Coordinator has integrated with some of the best tools on the market to make managing your leads and transactions even easier.